Elegant Design. Modern, minimalist style fits any decor. 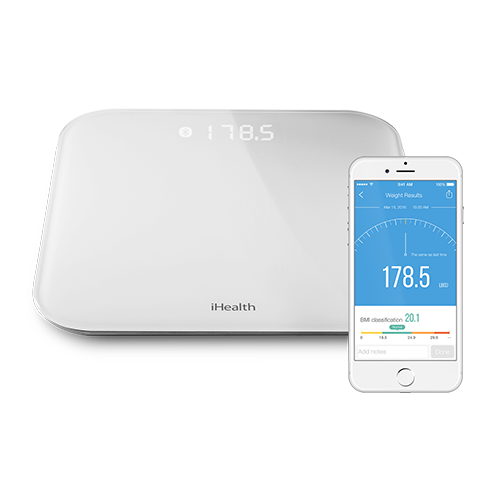 Our wireless BMI weight scale easily records your fitness progress. View your results on our mobile app. Measure, track and share your weight and BMI results. Set goals and evaluate your progress over time. Track accurate weight and BMI measurements for up to 20 unique users. Can support up to 400 pounds. 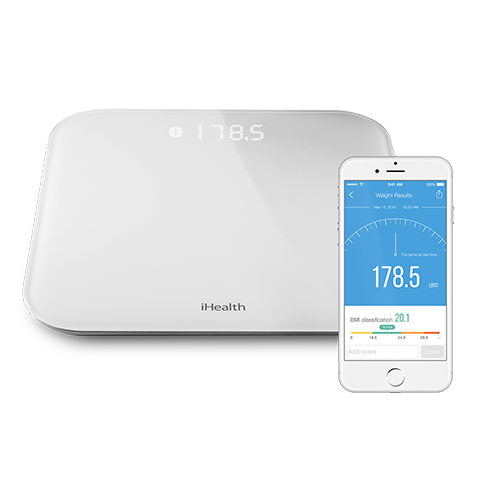 This BMI weight scale is simple to set up and sync with the iHealth MyVitals app via Bluetooth Smart technology. Backlit display auto-adjusts to the brightness in any room.